Brand Claims: Make way, ladies - the saviour for all your winged eye woes, is here! With its silky smooth formula and a rich matte finish, the Born To Wing Gel Eyeliner, is the queen of ultra-luxe. Achieve absolute symmetry in everything from the chic-yet-casual look to the sultry cat-eye with this beauty and that’s not all. Smudge-proof and water-resistant, your eyes will now sport the boldest of tug-free flicks for 12 straight hours. Grab one today for those effortless ‘Oh! So dramatic’ looks that will stay with you through thick and thin. Comes with a built-in extendable brush that helps you ace those perfect luscious strokes on the go. Available in 2 signature shades, this eyeliner is the Gel of the New Generation. Additional Details: The richly pigmented Born To Wing Gel Eyeliner is dermatologically and ophthalmologically tested and approved. It is available in 2 fabulous shades, Blackmagic Woman and 02 Roadhouse Blues. List of ingredients: Cyclopentasiloxane, Trimethylsiloxysilicate, Paraffin, Isododecane, Ethylhexyl Palmitate, Mica, Sorbitan Stearate, Microcrystalline Wax, Silica Dimethyl Silylate, Phenoxyethanol, Tin Oxide. May Contain: C.I Nos. 77499, 77266, 77891, 42090, 15850. 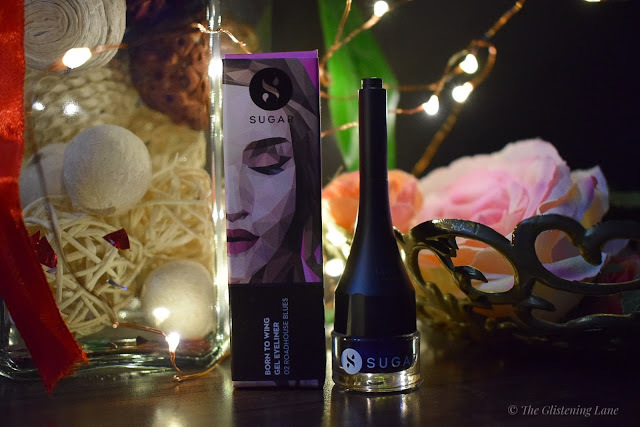 Product Packaging: The Born To Gel Eyeliner comes in the usual Sugar Cosmetics carton packaging which has almost all the required details printed on it. Inside you will find a plastic pot which has a brush placed onto the cap itself. To be honest, it reminds me of the Blue Heaven kajal which first came out with this sort of product packaging. However, it helps me in not losing the eyeliner brush at the time of need. Also, the compact size of the eyeliner makes it convenient as well as apt for being tossed into the college/office bag. The texture of this eyeliner is quite creamy which makes it easy for application. 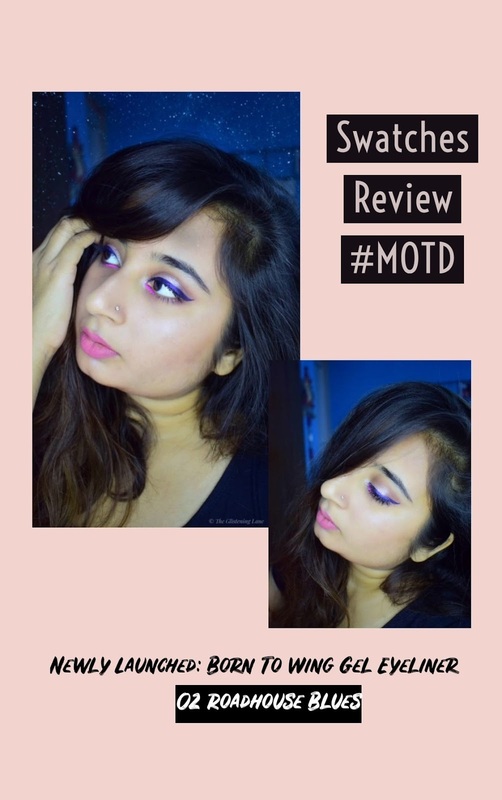 Nonetheless, the eyeliner sets into a semi-matte finish and you can build-up the colour intensity in two coats. In one coat, the colour does appear on the lids however with this kind of blue, I always feel the need to apply two coats in order to emphasize on the colour. Gel eyeliners are usually smudge-proof as well as water resistant. Moreover, they are highly preferred my makeup lovers as these last onto the eyelids and waterline for a good 12 hours and above. 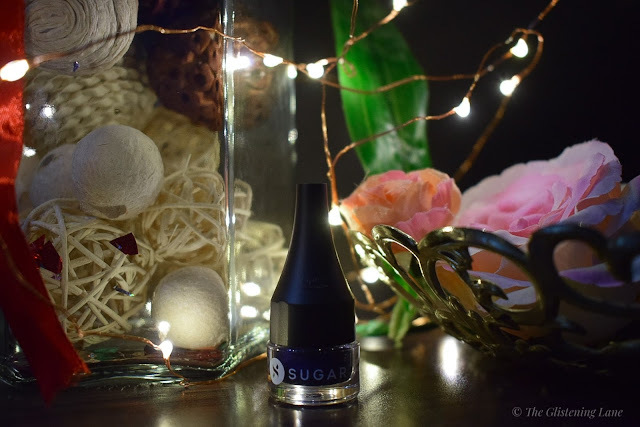 Sugar Born To Wing Gel Eyeliner performs great in terms of longevity as well and you would need no touch-ups with it. In short, post application you will be sorted for the day! As stated before, the concept of an in-built brush is really good and makes the packaging of the eyeliner hassle-free. Coming to the bristles of the brush, they feel soft onto the eyes and at no-point I feel that they are tugging or poking at my eyelids. 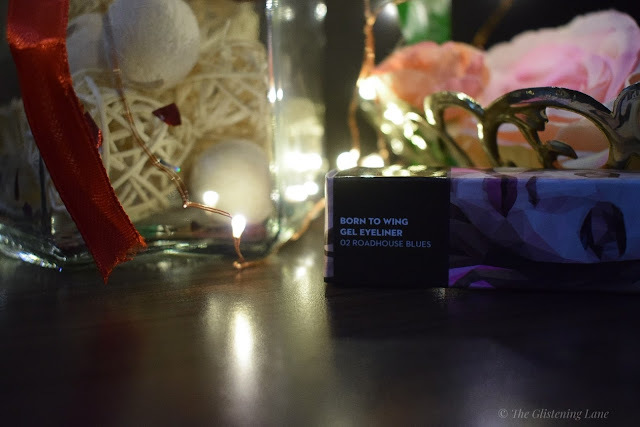 Unfortunately, when the name of the product says ‘Born To Wing’, I’d expect the applicator to cater precise application, especially for making a good wing. There were times when the brush failed to provide me that perfect wing owing to its thickness. 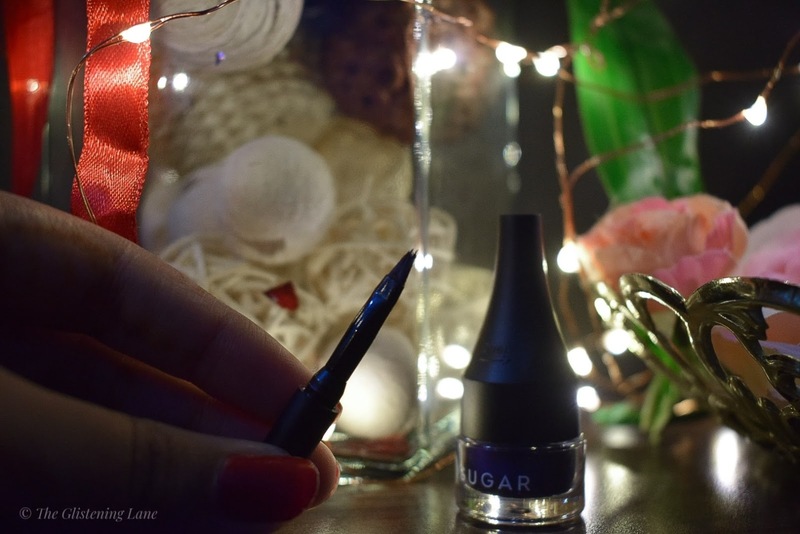 Keeping in mind the price tags of other sugar eyeliners, I feel the price of INR 499 is very much justified and I would definitely recommend this eyeliner. In terms of expectation, I wish the brand launches new colour variants as well (probably a golden and silver colour). Lastly, stay glued to The Glistening Lane for more such blog posts. You can also follow me on these social media channels: Instagram and Facebook.